WASHINGTON — After two deadly, so-called “1,000-year floods” within two years in Ellicott City, Maryland, the historic district will be getting emergency alert sirens. Two temporary, mobile speaker arrays will be placed in strategic locations around the city. The “extremely powerful speakers” will emit incredibly loud tones when flooding is imminent, Howard County Executive Calvin Ball said. The community will help decide what the warning sirens will sound like. “One of the things we’re mindful of is to make sure that once people hear these tones, they know what they are. Anybody who’s spent any time in Ellicott City knows we hear train whistles several times a day,” Emergency Management Director Brian Miller said. The alert system will be triggered by National Weather Service flood warnings. It can also be set off manually by public safety officials. “If we think we can shave off extra seconds or minutes, we will have the authority and the ability to locally trigger those tones based on public safety observations,” Miller said. 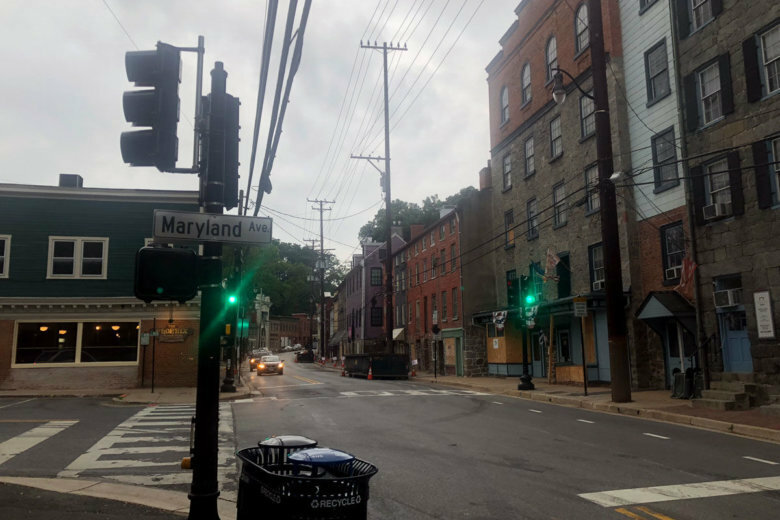 At a Thursday news conference announcing the audible warning system, Ball introduced members of a newly appointed Community Development Corporation Exploration Committee that is tasked with preserving Ellicott City’s physical and economic security. Flood mitigation plans taking shape upstream might include removing some buildings downtown. The committee will review the costs and feasibility of options that could save buildings to preserve their historic and cultural relevance. Unique geography along the Patapsco River and three of its tributaries has subjected Ellicott City to destructive flooding since the late 1860s. Since July 2016, three people have been killed by flash floods. The town’s first warning siren should be ready in March. The second speaker array should be in place by the first week of April. Between now and then, the city plans to announce a series of public meetings so residents can learn more and weigh in on what the warning tones should sound like.